Despite the mishap, officials expect the new lift to open on time this weekend. An empty gondola cabin detached from its cable and crashed to the ground Tuesday at Copper Mountain, KDVR reported. The enclosed cabin, part of Copper Mountain’s new American Eagle lift, was in testing when the incident occurred. No one was injured. GearJunkie called Copper Mountain for comment, but representatives were not immediately available. Leitner-Poma, the lift’s manufacturer and construction contractor, told KDVR no critical components were damaged. According to the report, the lift will open as planned on Dec. 1. And officials with both Copper Mountain and Leitner-Poma said they will work with the Colorado Passenger Tramway Safety Board to ensure the lift is working properly. For the 2018-19 winter season, Copper Mountain is upgrading two of its main chairlifts from the Center Village base area. The upgrades replace the American Eagle and American Flyer lifts with high-speed combination and bubble-style lifts. 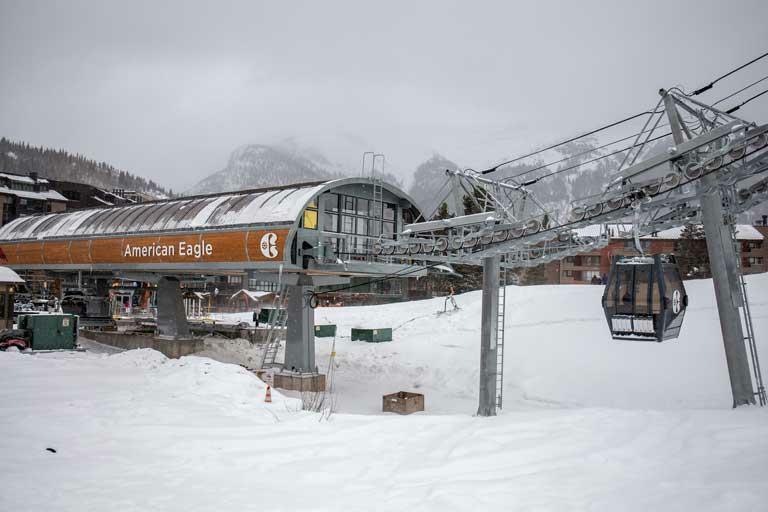 Using six-person chairs and eight-person gondola cabins, the new American Eagle will replace an older high-speed quad chairlift. Resort officials claim the new lift will increase uphill capacity by 40 percent. Also upgraded will be the American Flyer. The old high-speed quad is being replaced with a six-person chair with bubble enclosures. The resort intends the lift to offer a more comfortable ride to skiers than the lift previously nicknamed “American Freezer” by some riders because of its windy, chilly reputation. Both lifts are still scheduled to open on Saturday.